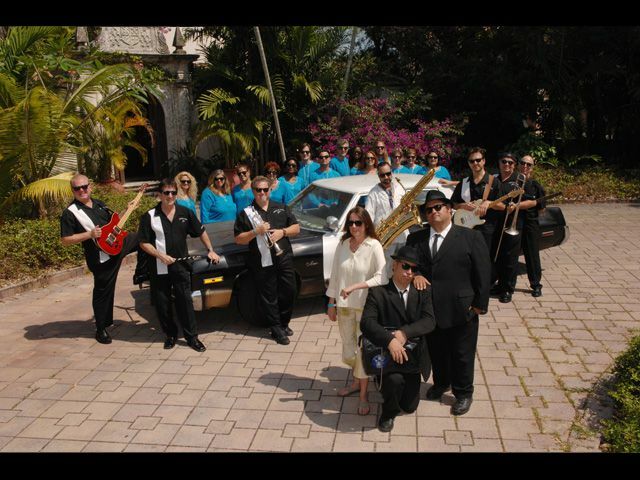 The JAKE and ELWOOD "BLUES REVUE"
TRAVEL: World-wide; 1 R/T Air and 1 Room for each performer traveling out of State. EVENTS: Casinos, Corporate Events, Special Events, Private Events, Theaters, Clubs, Festivals, Etc. SHOW OPTIONS: There are several show options, ranging from a duo performing live to track, all the way up to a complete package including a 9-piece band with full horn section. 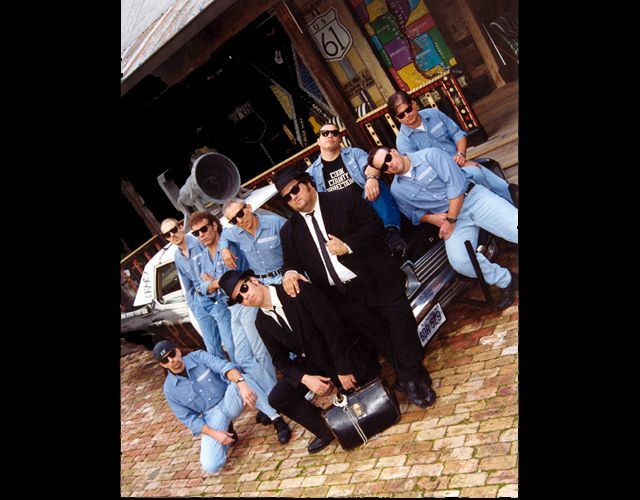 The Jake and Elwood Blues Revue is: The only Blues Brothers act in the world sanctioned by the Belushi estate and Dan Aykroyd. These amazing impersonators have been performing for more than 15 years across the globe for over 1000 corporate functions, as well as Casinos and Theaters. Add a high-energy dance band, and you have one of the most powerful corporate acts in the country. 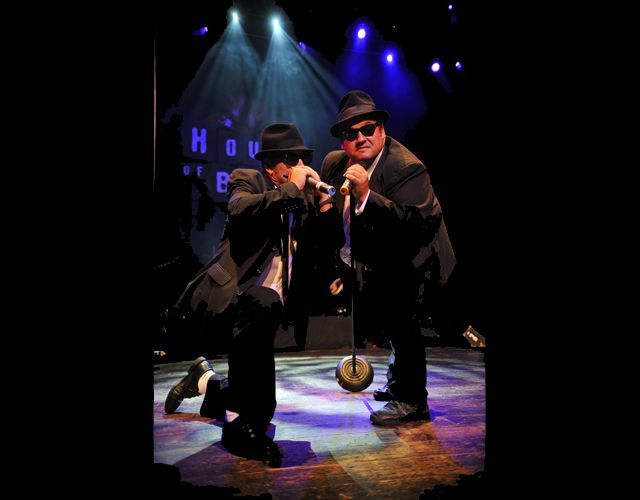 Their interactive stage show boasts up to 75 minutes of non-stop energy complete with all of the familiar songs from the hit movie "The Blues Brothers" and "Saturday Night Live". A great way to kick off any meeting, bring the house down after an awards ceremony, or save as the featured act for any event. At the completion of their show, high energy dance sets could be added to the evening's itinerary! 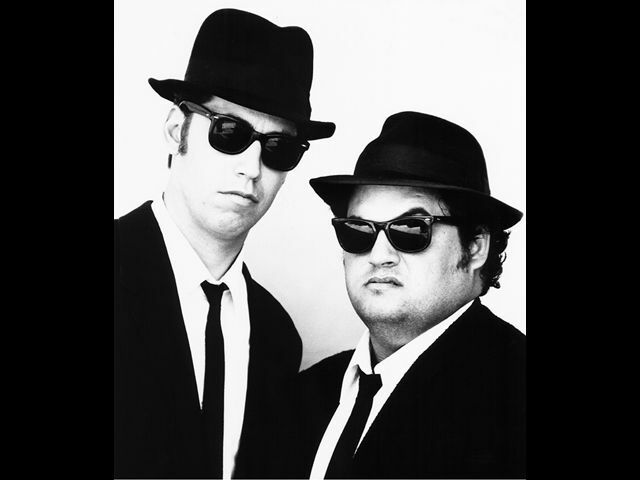 Blues Brothers from Talent Screening Room on Vimeo.